Journal of Tourismology (JoT) is an international, peer reviewed journal that seeks to advance theory in tourism and its recognition as a scientific discipline, published only English language. The journal -published by Istanbul University Press- targets tourism and travel related papers however inter and multi-disciplinary manuscripts are also welcome. 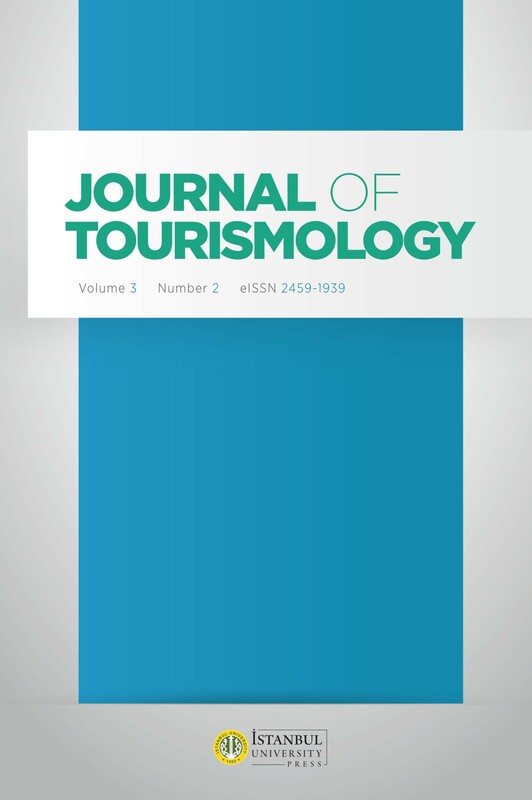 The coverage of the journal includes but is not limited to tourism theory, tourism development, sustainability of tourism, tourism marketing, tourist and traveler behavior, tourism industry, hospitality, gastronomy, transportation, attractions, tourism sociology, technology, tourism planning, leisure studies, organizational aspects and their various implications for tourism industry. JoT publishes two issues per year; one in December and the other in June. JoT is an open access journal -without any submission or processing charges or fees- that aims to be a comprehensive and innovative publication for scholars to present views and ideas at international level on key issues that shape tourism knowledge and industry from past to present. The Journal is currently indexed by SOBIAD. Tourismology adopts a double blind peer review policy. At least two referees are appointed to each paper that made it through the initial review by the editorial board. Manuscripts are expected not to exceed 9000 words however we also make exceptions for extended papers who are able justify additional length. For all manuscipts Times New Roman, 12 points should be used. There are no limitations to referencing style as long as it is consistent and universally accepted. Two seperate files should be uploaded. A cover page including the title of the article, author(s)' name, affiliation, contact details. The second document will be the main article without any identification or reference to the authors. Abstracts of 150-200 words are requested for each submission as well as 5-6 key words.